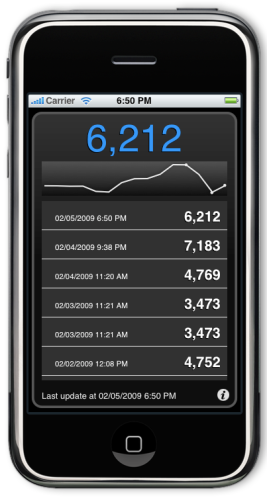 Sales trends for any item on Amazon.com available on your iPhone or iPod Touch. 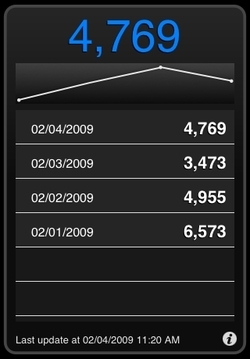 Main view, sales rank by time collected. Settings view provides easy configuration. Sales rankings grouped by day. 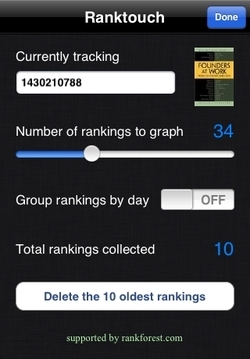 Ranktouch is aimed at authors and publishers who want to monitor the performance of their titles on Amazon.com easily from the iPhone or iPod Touch. Ranktouch can pull instantaneous sales rank values for a single title. The values are stored locally for trend analysis. Values can also be gouped and charted by day. 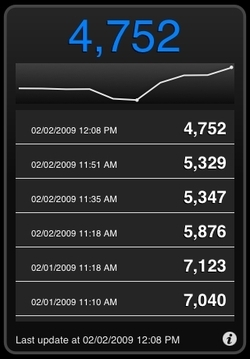 Ranktouch 1.0 targets the iPhone OS 2.1 and can run on the iPhone or iPod Touch. Updates when you want them. A check is performed each time you open the app. If the current ranking is more than five minutes old, a new one is collected. Download Ranktouch at the App Store.